Today is Monday, March 6, the 65th day of 2017 in the Gregorian calendar, with 300 days remaining. 1,416 days until the end of Donald Trump's term as President, assuming he isn't impeached. 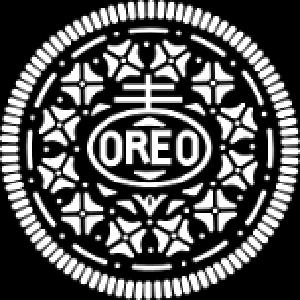 On this day in 1912, the first Oreo cookie was sold to a grocer in Hoboken, New Jersey. Developed and produced by the National Biscuit Company (known today as Nabisco, a subsidiary of Illinois-based Mondelēz International), the Oreo It was launched as an imitation of the Hydrox cookie manufactured by Sunshine company, introduced in 1908. The cookie was in the news recently when then-candidate Donald Trump reported Nabisco had shut down its Chicago plant to move Oreo production to Mexico. Not true and, also, not surprising. Among other things, today is also National Oreo Cookie Day (see above) as well as National Frozen Food Day. March is also National Frozen Food Month. Florida man allegedly committed lame $25,000 fraud by pretending to be Nickelback's drummer. A small asteroid passed within 9,000 miles of the earth last Thursday, a distance 20 times closer than the moon. A leaked memo reveals that U.S. President Donald Trump is planning to slash the budget of a major climate science agency by nearly a fifth. This, according to experts fearing the move, could cost lives worldwide. "Cutting NOAA's satellite budget will compromise NOAA's mission of keeping Americans safe from extreme weather and providing forecasts that allow businesses and citizens to make smart plans." Biocentrism posits that death is merely transport into another universe... a way for those who want to hold onto a comforting afterlife scenario, without giving up a devotion to science. Whatever happens to the Environmental Protection Agency, it has a clear legacy in cities. What cities looked like before the EPA. Scientists have discovered a great new data storage medium: DNA. A one terabyte hard drive currently weighs around 150 grams. Using the new method, 215,000 times as much data can fit in a single gram of DNA. You could fit all the data in the world in the back of a car. As school choice is poised to go national, a wave of new research has emerged suggesting that private school vouchers may harm students who receive them. The results are startling- the worst in the history of the field, researchers say.